From aspirin to anticoagulants, penicillin to cancer treatments, some of our most important human medicines come from plants. But extracting the medicinal compounds from plants can be complex, costly and unreliable. Which is why scientists are trying to brew them instead. Inside the hunt to brew an opioid painkiller from common ingredients such as sugar and yeast. Ten years ago, Christina Smolke and scientists in her Stanford lab set out to re-create the mix of genes and enzymes that plants use to create some of the most complex medicinal compounds: the opioids. Frankly, it seemed like a fool’s errand. 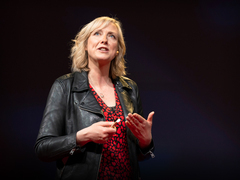 As Smolke (TEDx Talk: Finding medicine where you least expect it) puts it, trying to re-create a plant like the opium poppy is fiendishly difficult, mainly “because plants have developed very sophisticated strategies to synthesize the types of molecules they produce,” she says. “We basically set out with a challenge that was viewed to be unattainable.” Nonetheless, Smolke, who alongside her Stanford gig is also the co-founder of a company working to bring medicine-making yeast to commercial production, embarked on what turned into a decade-long quest — and counting. Why we need to move beyond nature for drugs such as painkillers. Relying on the natural world to provide our most important medicines comes with many challenges and problems, says Smolke. “Plants take a very long time to grow, often over the course of a year, and during that time they’re subjected to variations in weather, to disease and pests, all of which can affect the amount and quality of a medicine that’s available in a given year,” she says. Many of the most widely used painkillers are based on the opiate morphine, which is sourced from opium poppies grown primarily in Australia, Spain, France, India, Turkey and Hungary. More than 100,000 hectares of land is farmed to produce enough poppies to satisfy the legal demand for morphine-based painkillers (as well as research purposes). Extracting the compounds needed for medicines from the roughly 700 tons of raw materials produced annually, is a complex and costly process. It seems paradoxical, in a time when opioids are causing so many deaths, but the world actually needs more of them. Opioid addiction and overdose is an epidemic in the United States — 78 people die from an opioid overdose every day in the US, according to the CDC. But looking globally, the World Health Organization estimates that approximately 5.5 billion people have limited or no access to treatment for the relief of moderate or severe pain. Currently, just four countries, the US, Canada, Australia and the United Kingdom, consume around two-thirds of all the world’s opioids. Which is why Smolke’s team wondered if we might shift from a manufacturing platform that was based on growing vast amounts of a slow-growing crop — and instead ask a fast-growing, single-celled organism to make painkillers in a contained and controllable environment. Their first challenge: to find the perfect bio-factory for a synthesized drug. The single-celled organism they chose was baker’s yeast, widely used in baking and cooking. Why yeast? Well, for one thing, it shares many similarities with plants, including cell structure and the ways that proteins are made and processed — critical characteristics as the scientists tried to coax yeast to do what plants have evolved to do over thousands of years, Smolke says. For another thing, yeast is edible. Finally, yeast has provided a host for drug production before. Since 2014, scientists have used it to produce a synthetic version of artemisinic acid for the anti-malarial drug artemisinin, typically sourced from the sweet wormwood plant. Smolke wanted to get the yeast to act as a microscopic factory, housing each step in a complex series of chemical reactions designed to mimic the poppy plant’s production of opioids. Adding on processes from different organisms — like rats. “You’re looking to create molecules that might be produced within one organism, like the opium poppy,” says Smolke, “and even though you don’t know how that organism makes it, you can begin to mix and match pathways from different organisms to piece together the assembly line in a way that you wouldn’t see in nature.” Sometimes, the team came across steps in the pathway that were only found in the opium poppy, forcing them to create hypotheses for the function those enzymes might have, before searching a shared database of functional genes for an alternative source. Other times, they had to re-create a step in the opiate’s assembly line from elsewhere. One gap to fill was based on dopamine, a compound found in mammals, and a building block for opioids. They found genetic instructions for building dopamine in rats, and put that into the yeast genome. The result: A very engineered organism. In 2015, Smolke’s team engineered yeast to produce the opioids hydrocodone and thebaine. The team had to employ 23 proteins in the case of hydrocodone, and 21 for thebaine, taken from six different organisms — three species of poppy, the flowering plant and medicinal herb goldthread, rats and a bacterium — to reach their goal. But Smolke’s work doesn’t stop here. “We’ve now been able to take the same approach and apply it to other, much more diverse classes of plants, medicines and plant compounds,” she says. Engineered yeast could provide a platform for the development of new drugs that could be used to treat a host of diseases and conditions, from cancer to hypertension, as well as, more speculatively, perhaps eliminating harmful side effects from existing medications, such as addiction or dependency. The journey isn’t over. Smolke and her team certainly aren’t the only scientists engaged in the race to produce synthetic opioids; the entire field saw significant breakthroughs in 2015. For the time being, concerns that the new technology could prompt the production of “home-brewed heroin” seem unfounded, not least because thousands of liters of the yeast broth are needed to produce just a single dose of hydrocodone. Certainly, there’s some way to go before commercial production of synthetic opioids can move forward, and for the time being, farming plants remains the best way to produce painkillers. But the day may not be far off when brewing medicines with yeast provides a cornucopia of treatments.